You can decide how to race with us by many choices. Road, track, time trial, cyclo-cross. We have a strong racing section, following all of these disciplines. In order to race you will need: club membership, a club jersey, membership of British Cycling and above all a high standard of fitness and skill. All of these can be achieved by joining Stourbridge Cycling Club and we have plenty of members willing to give guidance. For LVRC information, click here. For this you will need all of the above except membership of British Cycling as time trialling is governed by a separate body, CTT, for which there is no individual membership fee. CTT Midland District’s Ranking System. There is a ranking system of all riders who take part in open time trials in the District. The results of all District events will be used in these rankings and you should be able to quickly see how you compare to your friends, club mates and rivals. The rankings will be maintained on a 12-monthly rolling basis, so that each month the latest results will be added and the points scores from 12 months ago will be deleted. In this way riders can progress up or down the rankings according to whether their performances are improving or declining. Each month there will be a summary on the CTT Midlands website of the significant changes in the rankings. Riders who have been promoted to the next category will be acknowledged and the ‘highest improvers’ will get a mention too. However, you will need at least 5 counting events – so make sure you fit in at least 5 Midlands events in any 12-month period! Full details are on the CTT Midland District website: http://rankings.midlanddc.org.uk the hard work has been done by Ruth Eyles and Steve Lockwood to whom we are indebted for such a brilliant initiative which could revolutionise how we judge our own performances. It will undoubtedly be an inspiration for many. This is the winter cycling discipline, just as gruelling as road and time trialling, run mainly off-road. This has the same requirements as road racing, the club has past and present riders of international standard who are all keen to share their knowledge and enthusiasm. 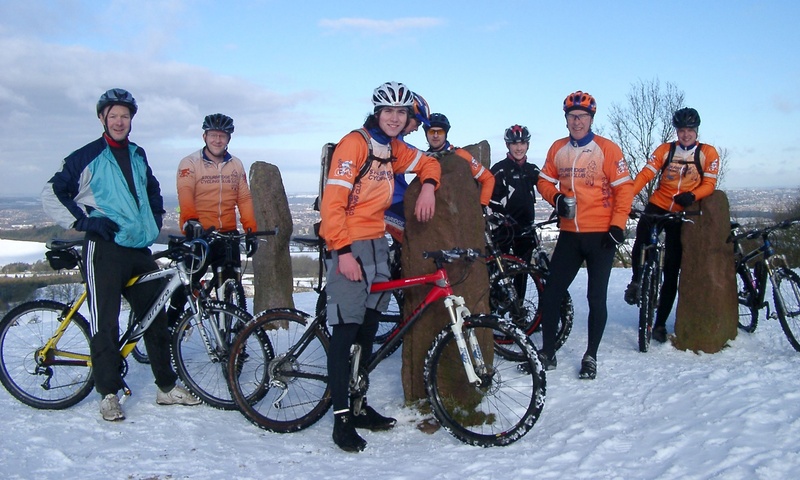 Cyclo cross is addressed on other pages of this site, click here.